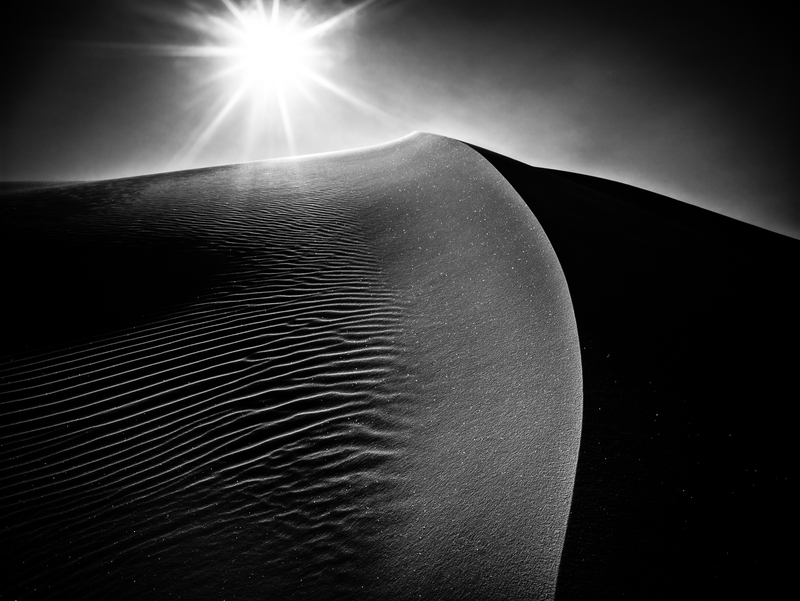 Light dances off the desert sands creating sparkling stars. This image has been a long time favorite of mine. The light just touches the sand in the dark shadows. Truly incredible timing! Photo © copyright by Lance B. Carter.